My aunt Phyllis has been a model tenant at Stone Lodge assisted living center in Guelph in Canada for about fifteen years. Unfortunately, the police had to be called in last week after an altercation involving her and her roommate, Mrs. Wilkins. This was too much for Phyllis, who turned, made a fist and punched Mrs. W. in the face, knocking her over. In the resulting melee, the police arrived to take down details. It seems Mrs. W. had a history of accusing both staff and roommates of thieving. She was on her third roommate. She didn’t take her Meds regularly. And a bruise was beginning to show on her face. Her dentures were askew. Phyllis, who had thrown the punch, was not on any Meds, had the reputation of being a quiet and pleasant reader and was a member of the Scrabble club. All witnesses were on her side. Kevin arrived at the Lodge, just as the police were interviewing the ladies. Mrs. W was very agitated, but reluctantly admitted to being 88 years old. When they got to Phyllis, the police found her sitting quietly, with her hands folded in her lap. “I never took her things,” was all she said, in her calm way. 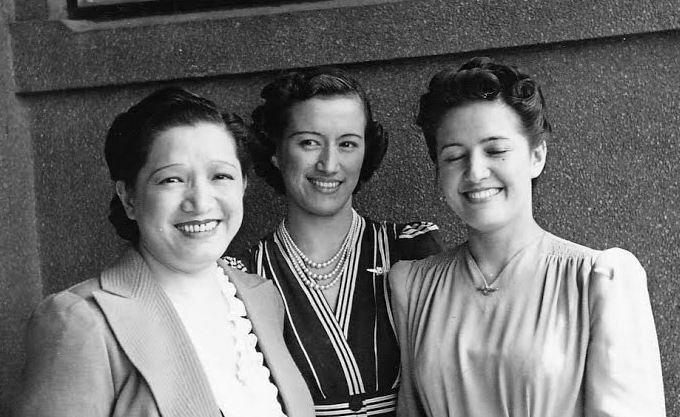 They could not know this woman had lived through wars, incarceration in a concentration camp, revolution, and a hasty escape from Communist China with two small children in tow. That a journey back then on an old ship from England to Canada, barely paid for, could not be missed or all would be lost. “ I had mumps when mom had to get me on the ship” Kevin reminded me later, “I was screaming nonstop, so I had to be bundled up, almost suffocating, as they wouldn’t have let me on board if they’d known I had mumps.” With steely determination and perfect aplomb, Phyllis got the little family to their destination, the very town she where she now resided in her final years. My cousin, Kevin told me the previous story, which I then wrote out and sent him. This inspired him to rummage in his basement to find the stack of photo albums and audiotapes Phyllis had left there when she could no longer drive and needed to move to Stone Lodge. As soon as I leafed through these photos, I knew it was time to start my blog. So first, I begin Phyl’s story, in her own voice. “Before the war, we all lived in the Embankment building, considered the best apartment building in Shanghai, with its own swimming pool. I remember in the summer, coming home for lunch and going straight to the pool with amah waiting with towel and swimsuit. I’d have a swim before lunch, then back to work. My lunch hour was from 12 to 2. I was carried to and from work by private rickshaw. I remember the manicurist coming to our apartment at 7:30 in the morning to do Ruby’s, Grace’s and my nails as we lay in bed before getting dressed to go to work. I remember the tailor coming to us so we could try on dresses we had ordered to be made from U.S. magazine pictures. He had McCall, Butterick and Vogue dress patterns and could copy any item of clothing required. There was also the itinerant “sew sew” woman who called on houses to do sewing and mending. She had a basket of materials, and would squat on the floor all day working. I remember the shoemaker making shoes to match our dresses. The best job an educated Eurasian girl could get was as a secretary. All us sisters: Daisy, Ruby, and I were expertly trained in typing and shorthand. We were secretaries, yet we lived in luxury. Our employers counted on us to be smart, efficient, discreet, and ready to work at all hours, as needed. And they repaid us with their trust and with excellent wages. However, we had no idea how to cook or clean or take care of most of our personal needs. We had servants who did everything, and we had our private rickshaws, very elegant with pristine white seat covers. They stayed close to the house, took us wherever we wanted to go, and waited to take us home. In cold weather, there was a rug to wrap our legs. Daisy and Hans had a smart car and chauffeur which they used until petrol became unavailable. 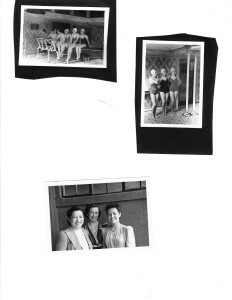 Until wartime, we took wonderful vacations in Japan and resorts in China. Thirty days before the Christmas holidays, a crèche was set up at one end of the entrance hallway at the Convent of the Sacred Heart, where I was an elementary school student. In winter, the hallway was dark, the stone floor cold, and the mustard colored walls beaded with humidity. Above, low wattage bulbs were set in the ceiling at prudent intervals. They lit one’s way without cheer. What little color passed through this hall turned sepia in the process. The crèche was not large and was faded from many years of use. But what was important was the cast and the props. Beyond the family in the shed, I sought and recognized each shepherd, kneeling or standing, his arms outstretched in wonder; the wise men, the star, each palm tree, the turfy carpet surrounding the whole. Each worshiper was placed at a proper distance from the sacred center, where the parents bent over the haloed child and the star beamed down gilded wooden rays. Stretching away from the crèche, a long strip of carpet reached some distance along the hallway. At the end was a group of wooden sheep. Each one had a name tag on it for a child in the school. There would be about seventy five little sheep standing together on that first day, standing way out in dim, lonely space. There I was, Joan K. There was another Joan, Joan deM. The sheep had once been identical. Now it was easy to tell them apart, by chips, blobs of repair paint, a gimpy leg giving a tilt to the stance, a painted eye replacing a glass one. A new sheep, substituting for one irreparably damaged, really stood out, shone, demanded a place in front. Being one of these would be a good omen, I felt. But I never was. Each day a bevy of sheep moved forward a specified distance towards the crèche. Our teachers monitored this progress, noting our behavior moment by moment throughout the day. Decisions were made, and in the middle of the night (or so I guessed) sheep either moved forward or fell over on their sides right where they were standing. Good behavior the next day meant standing back up and moving ahead. In thirty days, each sheep COULD theoretically pass into the turfy enclosure for the righteous.I knew I belonged in the center; I knew I wanted to be with God. My love was a warm comforter that would puff around the pallid child and bring his color back to him. 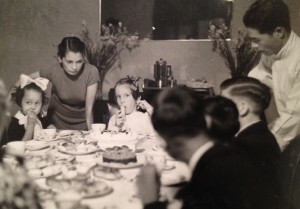 I was a very loving child, perplexed by the rules of the grown up world. Moving towards God each day seemed right; yet, falling over on my side and thereby falling behind became inevitable as the years passed. I fell over; that is, my symbolic self, God’s wayward lamb, fell over when I spoke impulsively to my neighbor during catechism class, when I mislaid one white glove, when I slurped my soup in the awful silence of the refectory, when I broke into a trot to get to an important destination in time, when I burst out laughing in the hallway, when I raised my voice in passion for any reason at all. Two petite sisters, Mignon and Mignonette, made it every year. They performed sleight of hand with white gloves. I could never make one look like two. I can’t even do that today, but I suppose M. and M. are still fooling the world with sly grace. After falling over on its side a few times, one’s sheep just fell too far behind to ever make it. M. and M. took part in the transportation of the crèche and the winner sheep to the chapel where an annual in-group celebration was held. The rest of the sheep were scooped up and boxed till next year. My mother winced at reports of my school behavior. “She’s just naturally clumsy! Ballet school should help.” My Dad tried. “Lots of children in the world are crippled by polio, for instance. That’s really a problem.” Then he tried again “Or they are retarded. 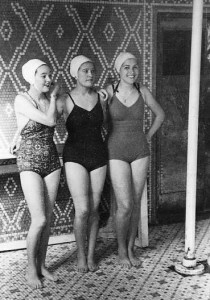 Being tall is really not that bad.” My mother added, “Just try not to slouch. It just makes it worse.” To give her credit, she hired a physical therapist to work with me for over a year on my posture, which really did help. At the age of seventeen I left my parents definitively to go to college in the USA. This was my introduction to secular education. For the first time, I recognized my peers and they recognized me, as we stood eye to eye. I could begin to make my own rules; sometimes moving slowly and sometimes sprinting, but no one had the right to decide to knock me over in the middle of the night. Hanging out with cousins in San Mateo, California a lifetime later, I was invited to join in a game of Monopoly. “Sorry, I don’t know how to play,” I said, but leaned over to see what was going on.”Wait! 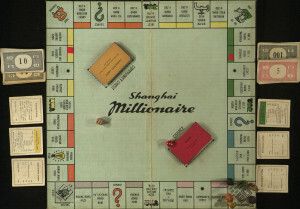 That’s Shanghai Millionaire!” We used to play it all the time.” I cried. 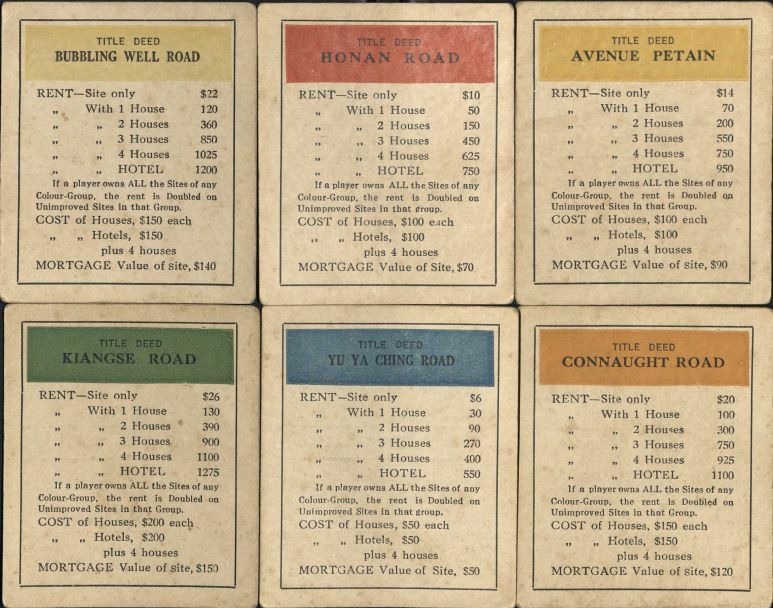 “Bubbling Well Road, Avenue Petain, Szechuan Road, the Bund, this is crazy; these streets are all different!” Gambling must have been in our DNA, because we u sed to play intensely, to win property at all costs. We all used to cheat non-stop. 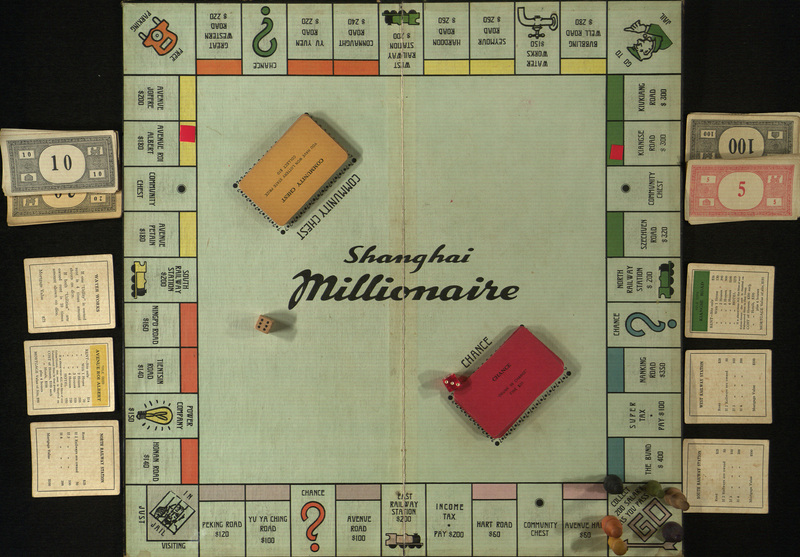 The Shanghai Millionaire I knew had been pirated from the Parker Brothers company in the ‘30s and probably faded away after the war years. But, as the Wall Street Journal reported in 1987, it re- surfaced in the ‘80’s as “Strong Hand”, produced by the Shanghai Lishen Toy fact ory. 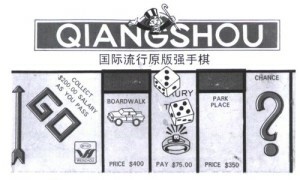 The board is a direct copy of the original, but the tokens are wheelbarrows, the free parking space called Freedom Park, and players can’t pay a fine to get out of jail. “That would just encourage lawlessness “explains Lin Zhihui, a director of the toy factory. The game is a huge success, and has turned around the fortunes of the company, which once struggled, assembling equipment for a state telecommunications agency. By 1988, over 200,000 copies of the game were sold at about $2.70 each. “By playing this game, people can learn about management and competition” (Liberation Daily.) “The game can help develop children’s intelligence, judgment and motor skills” (Shanghai Daily News.) 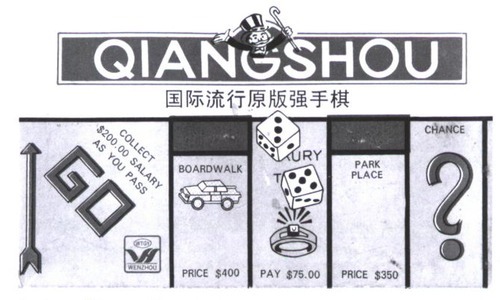 “Everyone in China should be raised playing Monopoly,” says Yao Weiqun, deputy secretary general of the Shanghai Association of World Economy. “That way, everyone can understand how a market economy is supposed to work.” As China experiments with capitalism, Shanghai citizens are doing what they once did best: making money. Complaints by Parker that its copyright has been violated have been ignored by Lishen. Surprising? Not really, by the bullying standards of the board game. Sundays were almost the only time my father, mother and I dined together in the dining room. This was a beautifully furnished room, with an expandable dining table that could hold twelve, a buffet, its drawers lined in felt to protect the silver and the English china, and tablecloths and napkins in the palest green damask. Everything was made to my mother’s exacting orders. Even the floor was perfection, a dark reddish mirror surface, renewed every year or so. All the furniture would be removed, the floor sanded, and several layers of Ningpo varnish applied over a two week period. This varnish contained animal blood, so it gave off a foul odor until it was fully dried. In my memory, the whole room was a burnished perfection; a moment in time when everything matched or blended. Elaborate settings of china and silver and crystal seemed to wait for important dinner parties, or even for our family Sunday dinners. Who could know that one day, all this tasteful luxury would be swept away? I remember my father, unusually raising his voice, even shouting, over my mother’s hysterics: “Di, let the servants take whatever they want! Let it go! 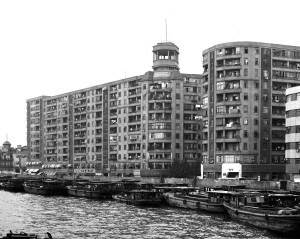 “ Mao’s army was swarming over the City; seats on planes to Hongkong were selling at inflated prices with only hand baggage allowed. 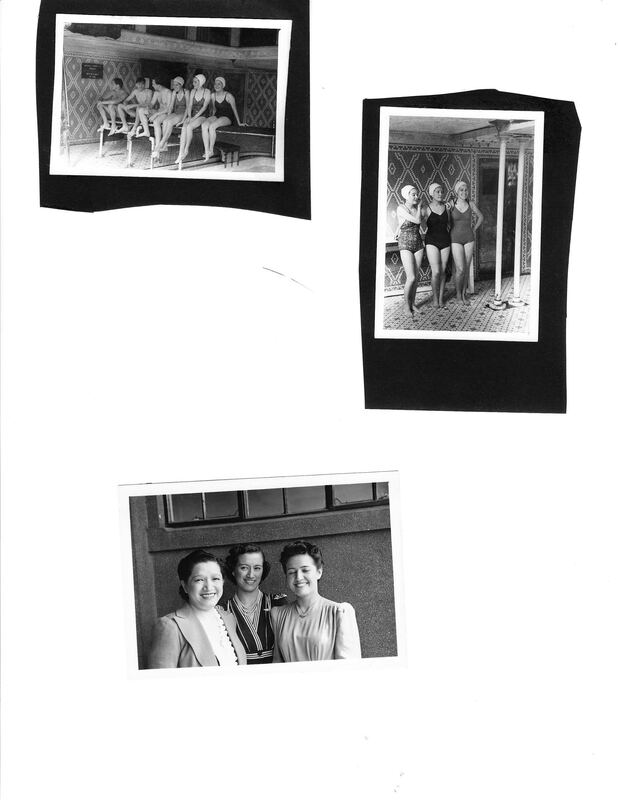 My mother could not grasp that every meticulous detail of her lifestyle was about to vanish. She stared at the small suitcases my father had dragged out: one for her and one for me. He was staying behind. At Sunday lunch, my father stands over the large, steaming tongue on its platter. He holds his special carving knife and pronged fork. He peels off the skin, so elegantly. He is elegant in everything he does. We are so close the few times we are together. I might sit on the edge of his big leather armchair, and he’ll hold out his arm and let me scratch a mosquito bite. I adore him, and he smiles back at me. He adores me, too. He’ll hug me tightly on his way in and on his way out. He will often hand me a wad of banknotes, which I kept in a Tip Top toffee tin. I had no use for money other than a few coppers. 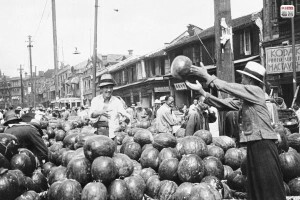 I was strictly forbidden to eat street food, such as “cholera melons,” “mangoes where snakes shoot their venom,” “chopped up rats and mice,” and so on. These rules were laid down by my mother, and I believed her. Unlimited sweets of all kinds were only permitted on my birthday, with disastrous results. My mother grumbles “Hong couldn’t explain the cost of it; we went back and forth till I had to give up! Hans, you have to speak to him about it. He just argues, with that damned cleaver in his hand. He won’t even let me into the kitchen!” She hasn’t stopped, but I’ve stopped listening. I’m rolling my tongue around in my mouth, trying to figure out the structure of it, comparing it to the tongue on the table. My father ignores my mother. We smile at each other. It’s a secret of us against my mother. Eventually she subsides. My father finishes slicing the tongue from the chewy tip back to the tender, meaty part I hope to get some of. We pass our plates, and my mother’s voice rises again. I want to beg her to stop. I want her to disappear. I want to be alone with my Dad. He just continues serving as if he doesn’t hear her. They play their usual parts and I dread the moment he will get up, leave the table, and be gone for the day. That too happens, as if on schedule. We could be having corned beef and cabbage, or leg of mutton, patiently sliced and served by my father. There might be a salad, with a slight aftertaste of permanganate. This was added to water in which raw greens were soaked. I don’t understand why we always had Western style Sunday lunches. Western snacks were also served when my mother held her bridge and mahjong parties. Delicate cucumber sandwiches on buttered white bread trimmed of their crusts and cut into triangles were stacked attractively on china serving plates. Dainty cakes were provided by Kiessling and Badar, the German pastry shop and café. The Wedgewood service was brought out for tea, offered with milk or lemon, and bowls of rectangular white sugar cubes. My mother had had the foresight to hoard about ten cases of sugar cubes before the war. Housewives were more prescient than their husbands. They sensed bad times approaching, and throughout 1938, they mobbed the shops daily, stockpiling cases of tinned meat and boxes of staples. The rest of the time, we usually ate Chinese style at home, using bowls and chopsticks. Often I ate alone at the huge dinner table, or in the kitchen. I learned at an early age to love to eat, to love whatever was set in front of me. I would watch Hong chop, slice, sauté, steam and then serve me, with a flourish. I never handled food till I got married at 21. But as soon as I did, I seemed to know what to do. 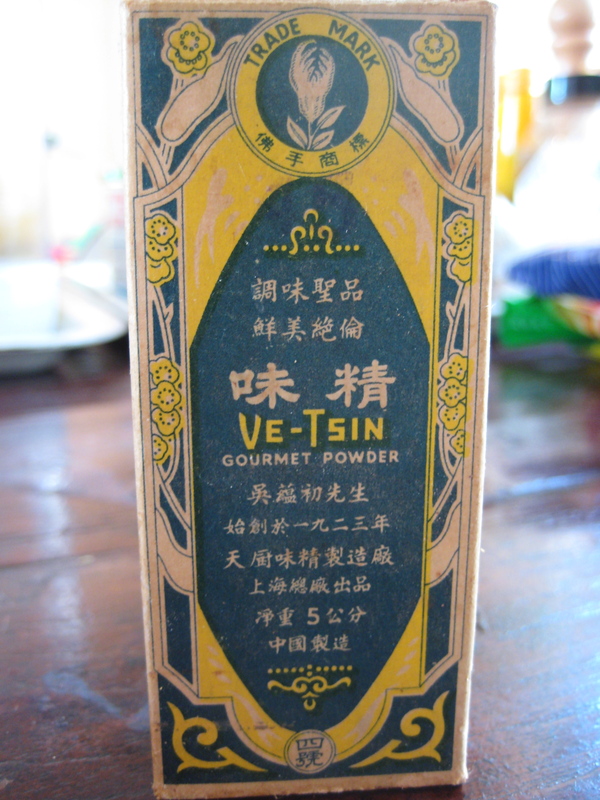 In my mind’s eye, I saw and later could identify the items in the cluttered shelves of condiments, including the big jar of Ve-tsin. 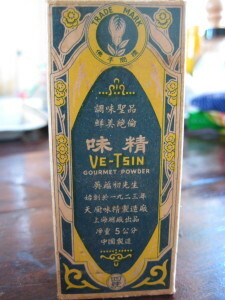 Hong put a pinch of this white powder in every dish. Later I found it this was monosodium glutamate. This shock of recognition was mirrored in another later discovery. Food at school was totally different. We filed into the gloomy refectory, and took our seats in front of our shallow white porcelain soup bowls at a long, dark table. 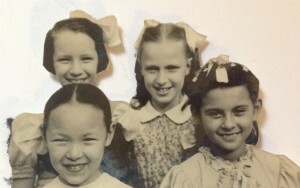 We were about 20 girls of different sizes and shapes, wearing identical navy blue and white uniforms. The lunch was considered part of our education. We were monitored by severe nuns in their black uniforms that had a stuffy smell especially in the humid summer. We were doled out soup from a big tureen being passed around by a nun. It was lukewarm and translucent…basically colored water. We had to consume it all, moving a big silver soup spoon from front to back until it was all gone. Surely there was something else to the meal…but my memory fails me. I do recall our large napkins that we had to roll up and return to our individual holders afterwards. Then we got up and filed out. 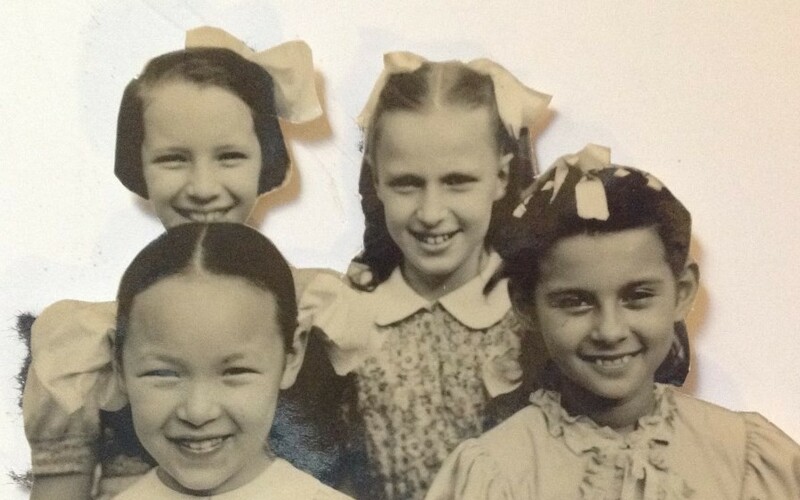 It was wartime by then, and all British and American schools closed, and their teachers and students….if they were British or American…interned in late 1942 in concentration camps on the outskirts of Shanghai. 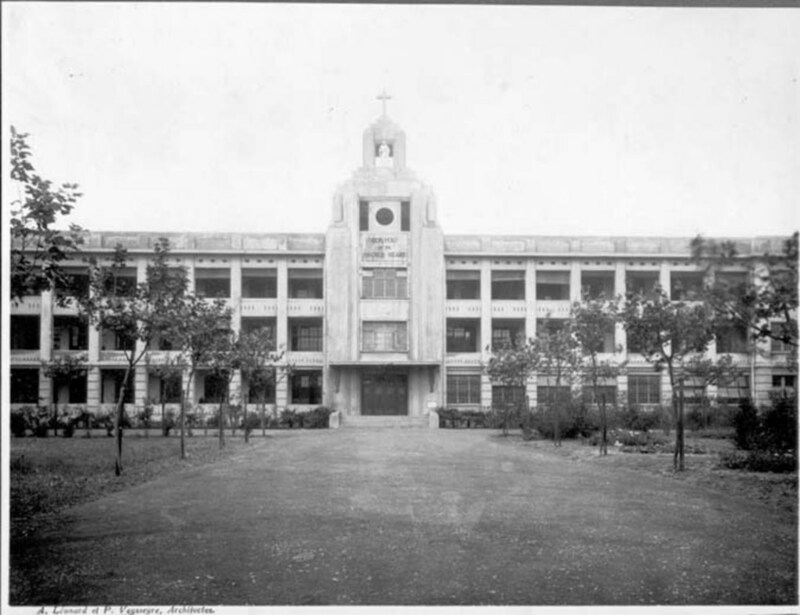 The convent of the Sacred Heart on the Rue des Soeurs in the French Concession was pretty much the only option for Eurasian girls like me. We were the ones with a non combatant parent in the mix. 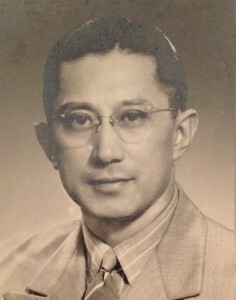 He would probably be Scandinavian (my grandfather) or Portuguese, or German of course. My parents were indifferent to the meaning of a Catholic education, and so I was tossed into years of catechism, study of martyrs and catacombs, singing of the Mass and mastering the French language. The relentless repetition of table manner stud y followed by wild kitchen antics once I got home seemed normal to me. Just as normal was my intense seriousness about my obligations as a Catholic child. I carried a vial of holy water with me at all times in the pocket of my serge uniform jacket. 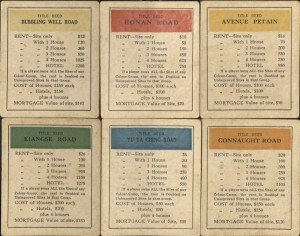 After petrol rationing ended my chauffeured trips to school, I’d take the tram or walk, which I preferred. Then, whenever I spotted a small bundle in the gutter that I could identify as a live human…either it gave off a bit of steam in the winter, or seemed to move even slightly, I’d get out the holy water. Kneeling over the bundle and poking around to reveal the baby’s face, I’d baptize it…I’d say a prayer, and then move on. This went on for over a year…about ten or twelve lives spared purgatory or worse, until I was caught out by a family friend. There were always visible dead people, who had died of exposure or dise ase, or had been executed and put on public display. 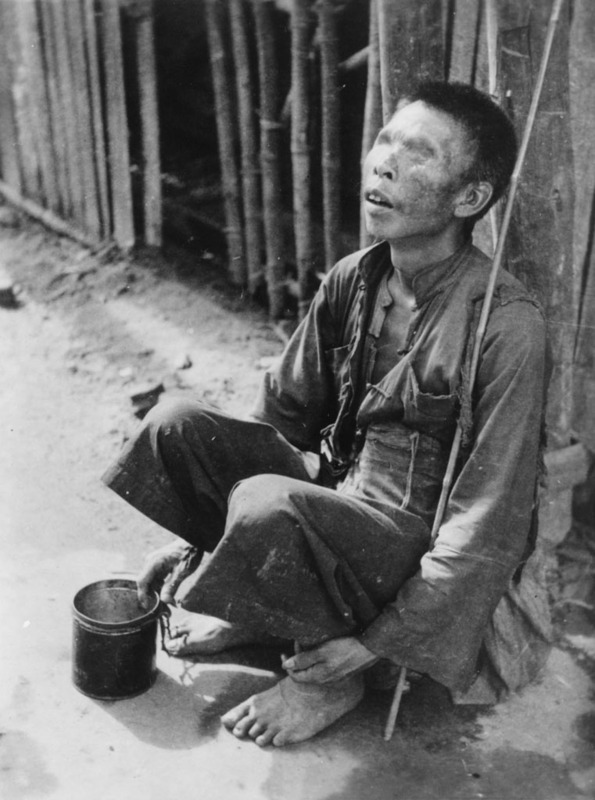 There were terribly mutilated people displaying their stumps, their wounds, and piteously begging. Wretched dogs and skeletal cats were also part of the misery I walked by and left behind. Much more real to me were the torture of Christian martyrs and scenes in catacombs recounted to us by our teachers. The sight of real dead and dying impressed me less than the lurid stories of the past. This was the market, where, it seemed, any food could be bought. Hong might head to his favorite fowl stall. It was quite large, with baskets of live birds, as well as stacks of cages crowded with more birds. Hong took an aggressive stance at most stalls. The vendor held out a chicken to a woman in front of us. He actually manipulated the bird and I am sure the squawks were coming from him. “That chicken is dead” Hong muttered to me and to Xiao, who always enjoyed these scenes. When the deal with the woman was done and the vendor held up a chicken to us, Hong shouted “Put that chicken down.” After an exchange of macho stares, the vendor opened a cage and dragged out a different bird, obviously alive, and Hong reached out and grabbed the chicken by its gullet and gave it a good squeeze. This was to make sure not too many stones had been forced down its throat to make it heavier. The cruel way the birds were treated meant many of them were dead on arrival. We finally got chickens which passed Hong’s test. Ankles strung together, they hung upside down, one over each of Xiao’s shoulders. Pork came next. Back then, pigs were bred to be big and fat, and their flesh was reddish and solidly streaked with white fat. For Chinese, pork was and still is the ultimate meat. Xiao was loaded up with various cuts over which he threw an old bed sheet to keep flies away. If it wasn’t a pork day, it could be mutton day, a very smelly stall, or seafood day, the most exciting of all for me. Various receptacles were laid out at the stall—tanks, basins and bowls. They would be hauled to the site daily, and filled with live fish and crustaceans. Executions were held on a big marble slab, constantly being hosed down by an assistant. The scene was bloody and turbulent with splashing water. As usual, Hong was rude as he aggressively handled his prospective purchases. He’d grab a big fish by its tail, hold it up, and if it thrashed vigorously enough, he’d hand it to the fish guy to be killed and bagged. Eels were all muscle and had to be wrestled on to the marble slab. A big basin of live shrimp would be emptied into Xiao’s string bag, ready to cleaned and cooked back home. People were crammed together, arguing, shouting and waving fists, knives and merchandise, dead and alive. It was always my best life experience. During the day, the beautifully furnished, immaculate rooms of our house were often empty, but there were always several people in the kitchen. In addition to the six or seven permanent staff, young country girls would come around the back door, and work for us for a time, but they didn’t last long. They were disrespected by the incumbents; all the way from Hong, who yelled at them, to Xiao Liu who passed on dirty jobs to them, or, if they were pretty, groped them. Someone was always eating with chopsticks out of a big bowl. From an early age I learned that at home in the kitchen, one could eat whenever, and that only my parents followed set mealtimes. I also learned that set meals were less tasty than the spontaneous meals and snacks erupting regularly in our kitchen. Hong might return from the market with a huge slab of pork fat slung over his shoulder, which he cut up and rendered to make the lard we used for cooking. I would wait for the cracklings he’d fish out of the boiling oil and flick out into the air for whichever kids were around to catch. As well as myself, there would usually be a few children parked in the kitchen while their parents did chores in the house and grounds. We’d shriek, tossing the hot, crunchy bits from hand to hand till they were cooled off enough to eat. Or Hong might sauté some yolks found in a hen’s carcass and look around to see who deserved them. Hong liked an audience when he cooked, so he always had some extras to give out. He also needed an audience for his frequent rants, often addressed to vendors who came to the back door with their goods. I used to wonder why the egg lady bothered coming back. She would arrive with a big basket of eggs. A deep bowl of water was placed on the floor, and one by one her eggs were lowered into it—sometimes one would crack, and there would be an argument as to whose loss that would be. The purpose was to check each egg’s freshness. If I remember, a fresh egg lay on its side at the bottom of the bowl. The rest were subject to negotiation. I got the job sometimes of egg testing while the lady yelled “they were all laid this morning! Don’t waste my time! Get your eggs elsewhere!” About half the eggs were rejected with drama on both sides and the whole event was repeated the following week. Sometimes, right after the egg lady left, Hong would crack a few of the eggs into boiling chicken or pork broth (always on hand) with a few fresh noodles and some chopped scallion. He’d hand around bowls of the broth with a poached egg floating in it. You pierced the yolk with your chopsticks, stirred and slurped up this treat right then and there. Another vendor event was the crab guy’s arrival. Up to a dozen live crabs were stacked on top of each other and tied together with string. They formed a tower, spewing foam and extruding hundreds of struggling claws from top to bottom. The vendor stood, calm at first, a cigarette hanging out of his mouth, holding two or more of these towers. Hong carefully inspected each stack to make sure each crab was alive and deducting for every perceived dead one. Of course, the vendor got more and more incensed, until finally the deal was completed, cigarettes and money exchanged. As a special treat, Hong would occasionally let me tag along when he went to the market. 36, rue de Boisseizon, where I lived, was a typical French Concession house. It had two stories raised above a flood cellar. There were equally large and gracious homes on either side of the street, which was wide enough to be called a boulevard. But all you needed to do was walk two blocks, turn a corner, and find yourself on the Rue Magy. It was narrow, teeming with stalls, vendors, customers; women with babies slung on their backs, dogs, cats and vermin. Families lived in crowded apartments on either side of Rue Magy which was so narrow, cars could not drive through. Because no motorized vehicles could penetrate Rue Magy, there was always a great honking of overloaded bicycles trying to move forwards or backwards. As well, vendors carried huge loads on either end of bamboo poles carried across one shoulder. On one end, there might be a charcoal brazier, already smoking away. Balancing it off on the other end could be cooking pots, hanging sacks of utensils, food ready for cooking. If the vendor was a woman, there could also be a baby in the mix, slung over the other shoulder, or strapped on her chest. 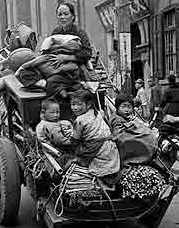 I was born in Shanghai before the Second World War, the only child of well-off parents. They were distant from me and from each other; my father was a man with several businesses, and my mother was occupied with managing the household and her many personal needs. 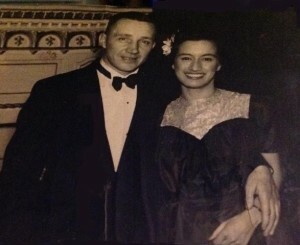 My father was out most of the time, and my mo ther received a stream of service providers all day long. They included the psychiatrist, the masseur, the cosmetologist, the dressmaker, the hairdresser, the manicurist, and more. 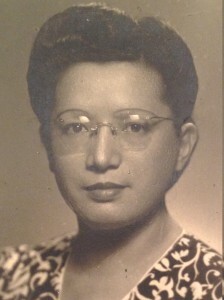 She also had a regular mahjong group as well as a bridge group. My father, my mother and I each had our own suite of rooms, and we were taken care of by a crew of se rvants who inhabited our large house more fully than we did. For me, the vibrant center of the house was the kitchen. I’m told that, starting as a baby, I would crawl around the tiled floor, picking up bits of detritus and usually eating them. I grew up in that kitchen. Later, I’d head there as soon as I got home from school. Hong, our cook, was a handsome, irascible man who always seemed to have a cleaver in his hand which he wielded furiously upon live chickens, ducks and big pork joints. In the Chinese style, he chopped right through bones. I loved the crunching sounds as I ducked the splatter of blood and bone chips. Hong’s favorite chopping block was a section of a tree stump, aged into a shallow bowl from constant use. Teenage Xiao Liu (little Liu) cleaned up after Hong with various cloths and mops, or squatted on the floor, plucking chickens after Hong had beheaded them with a mighty thwack. Chickens DID scuttle around the kitchen minus their heads, but were quickly caught by Amah and their blood drained into a bowl and saved. 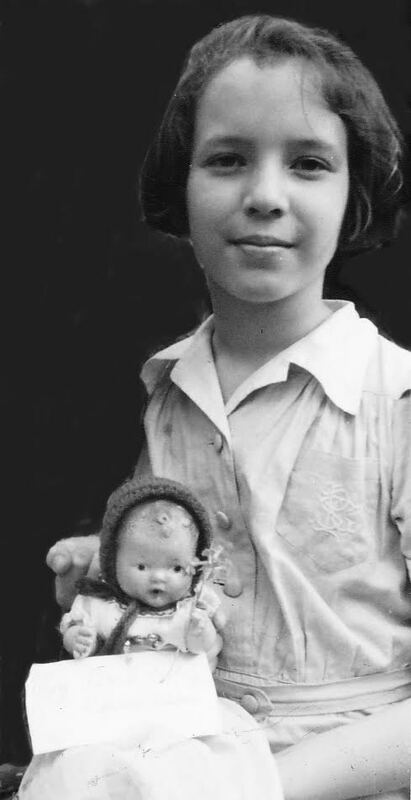 Amah, who had been my mother’s nursemaid, came from a time and a family where nothing was wasted. She could spend hours meticulously scrubbing and cutting up chicken intestines which were later served up as rubbery little tubes in soup. You always knew she was coming because her bound feet sounded like hooves on the tiled floor. Our kitchen was modern, but no one stood at a counter if a job could be done squatting on the floor. Amah or one of her helpers would fill a big, chipped enameled tin pan with water. Then she would lower herself on the floor with a groan, and drag the pan to her side with whatever cleaning job needed to be done.